Tomorrow's the day! Set your clocks forward one hour tonight before you go to bed. 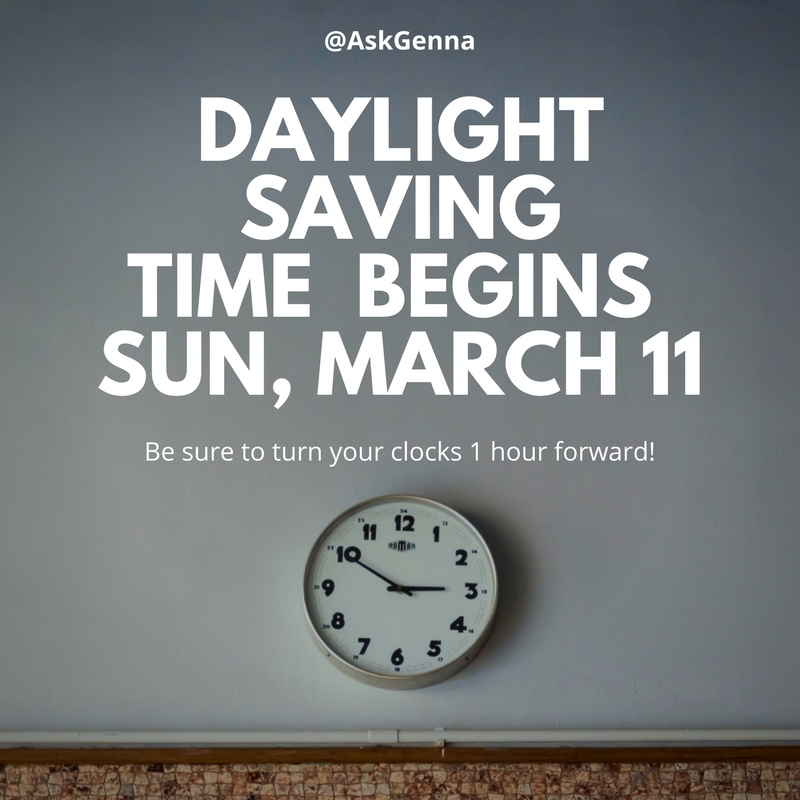 Daylight Saving Time begins at 2:00 AM Sunday morning.